The Hurricane season is here again and people from different parts of the USA are relying on the information posted online to stay updated with the current forecasts. During this period such information can be of crucial importance as it helps people prepare and better protect themselves, their property and their community. What started as part of our Company contribution to the relief efforts after the hurricanes Katrina and Wilma has now become a tradition and more than ever we strongly feel that it is our responsibility to give our share to the community. That is why for a seventh consecutive year will be providing free monitoring and notifications to some of the most popular websites that present their users with real-time forecasts, emergency information and donation opportunities in times of hurricanes, floods, and other natural or man-caused disasters. Traditionally, the Web Performance reports will include data from the measurements of the most visited hurricane and disaster-related websites. The information will be updated and displayed on a daily basis during the most active time of the season - August 10st through October 31,2011. 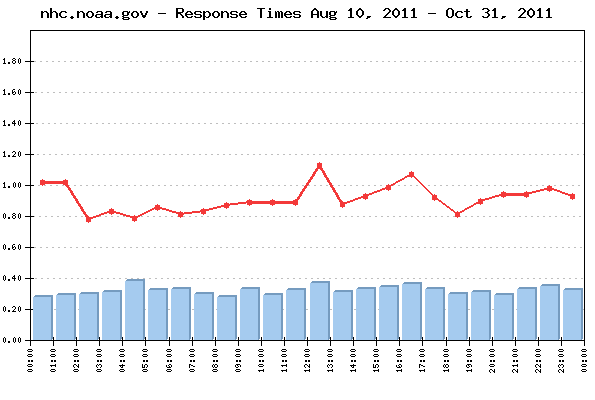 The daily Average Response time from all monitored websites was 0.822 sec. 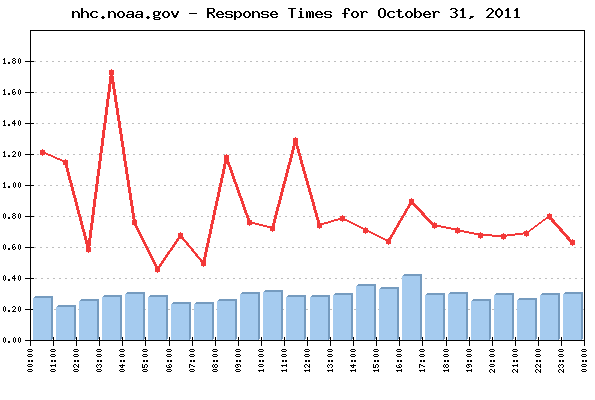 The Average Response time as measured from the US East Coast (Trumbull, CT) was: 0.805 sec. The Average Response time as measured from the US West Coast (San Francisco, CA) was: 0.894 sec. The Average Response time as measured from the US Central (Chicago, IL) was: 0.766 sec. The Best Response time measured from US East Coast: 0.255 sec. The Best Response time measured from US West Coast: 0.345 sec. 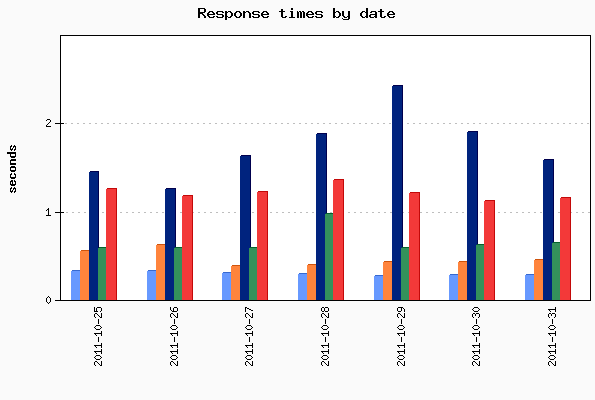 The Best Response time measured from US Central: 0.251 sec. The typical shopping transaction took the least time for nhc.noaa.gov visitors - 0.284 sec., while the visitors of redcross.org had to be the most patient, as the shopping transaction there took in average of 1.579 sec. No events of particular importance or possible negative impact on the online visitors' interaction with the Websites included into the 2011 Hurricane Season report were detected during the reported period, and according to WebSitePulse, the Group delivered the expected levels of End-User experience and Customer satisfaction.